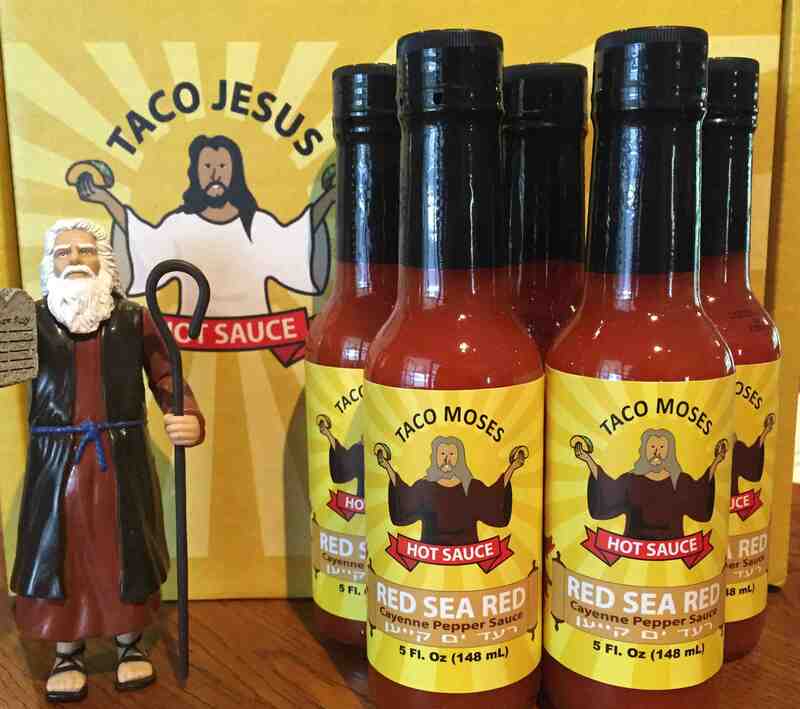 Taco Jesus Hot Sauce | On the 8th day He created Taco Jesus Hot Sauce, and it was good. 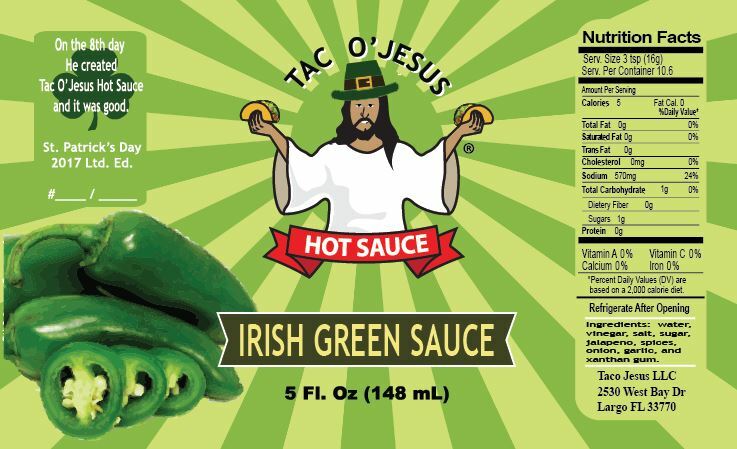 Last night I had a dream that I was walking on the beach with Taco Jesus. In my dream scenes from my life flashed before me and during each scene I could see two sets of footprints in the sand where Taco Jesus had walked beside me. Later I noticed that during some of the darker, sadder and lonely scenes there was only set of footprints in the sand and this troubled me. 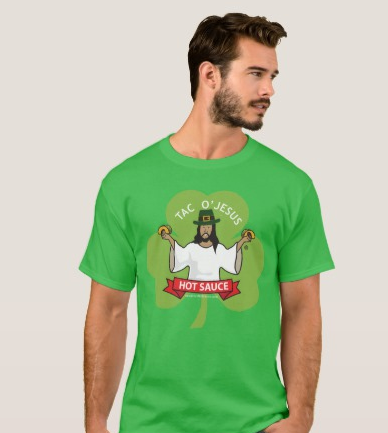 I asked Taco Jesus how he could leave me alone during these dark times. 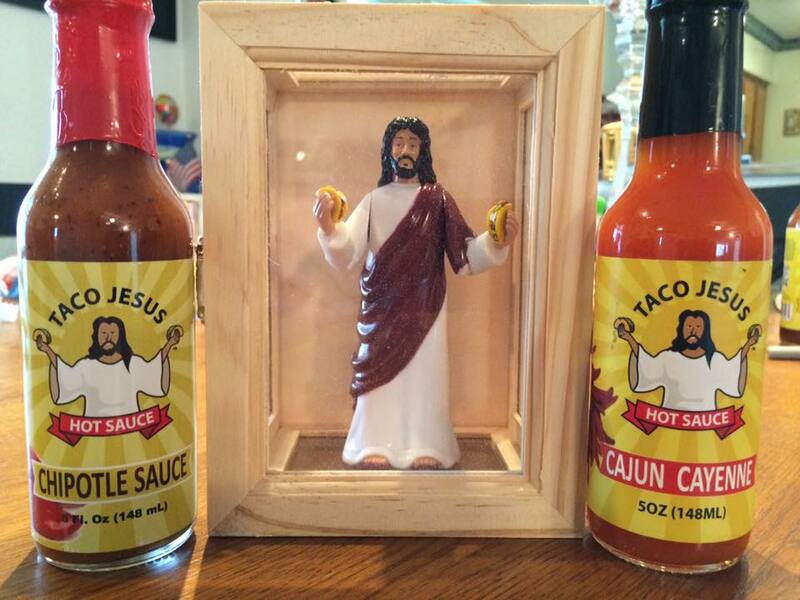 These Taco Jesus Action Figures commemorate that dream as Taco Jesus returns with tacos in hand ready to make your day better. Get your action figure today: Buy yours here. 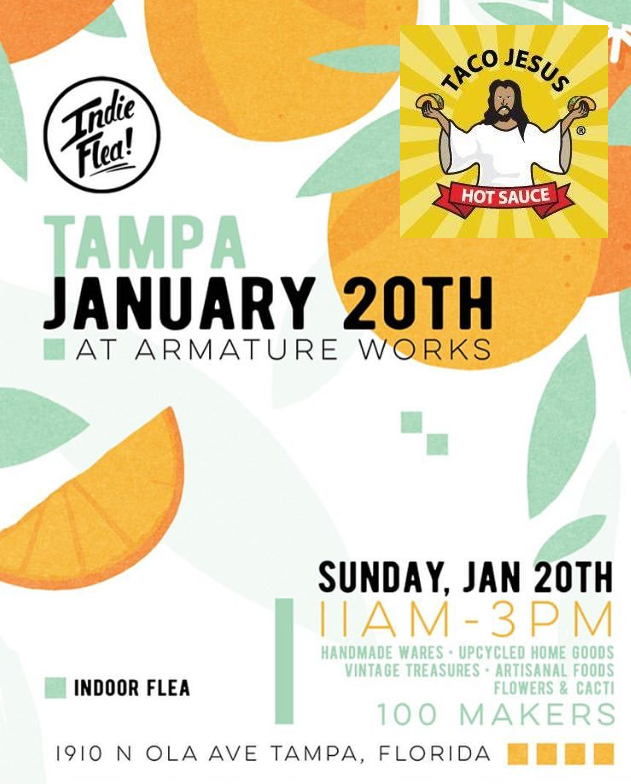 Come out and see us this Sunday for our first ever event in Tampa, Florida. 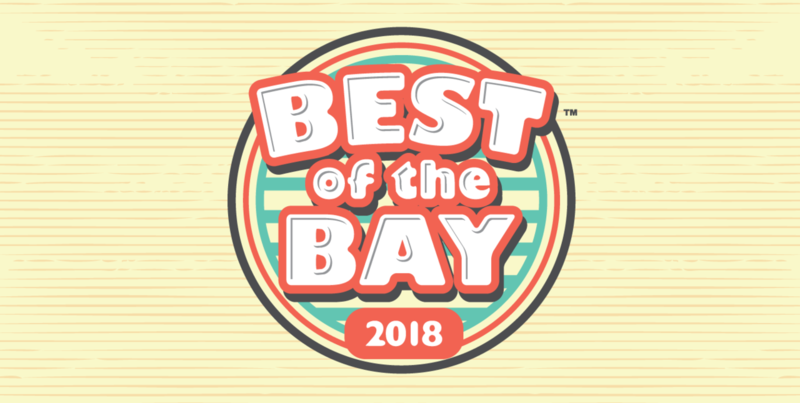 We’ll be there for this great indoor event featuring 100 great local artisans and makers. 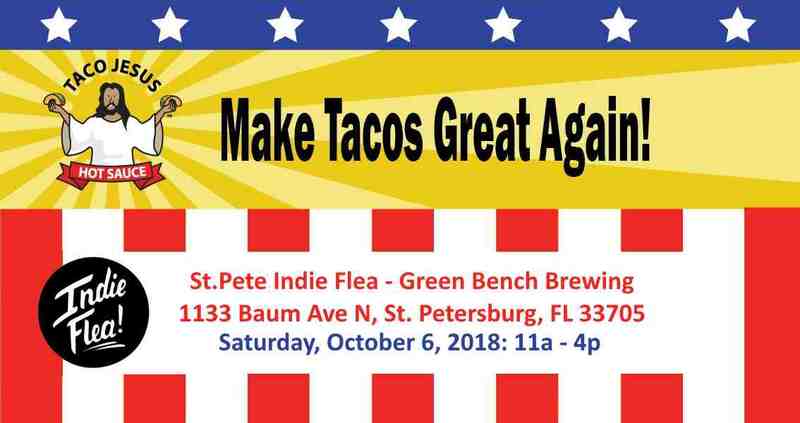 There will be great food & great times, and of course there will be Taco Jesus hot sauces. 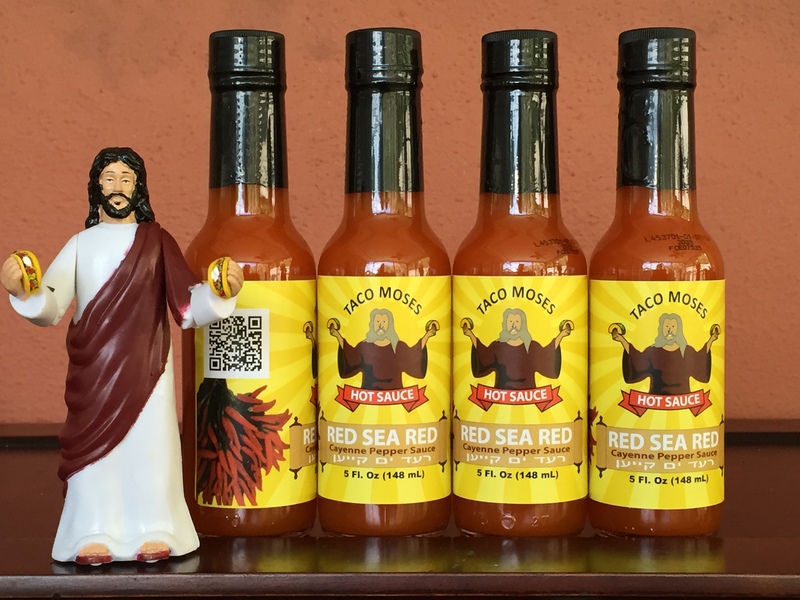 We’ll be featuring our new Bloody Mary mix – Taco Jesus Virgin* Mary Mix (*just add vodka) along with our awesome lineup of hot sauces and branded swag galore. 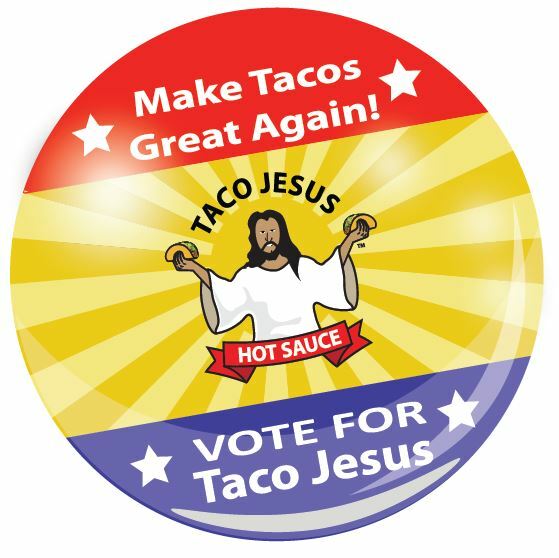 We’ve got a ton of great new stickers, buttons and temporary tattoos to help you help us spread the taco gospel near and far. 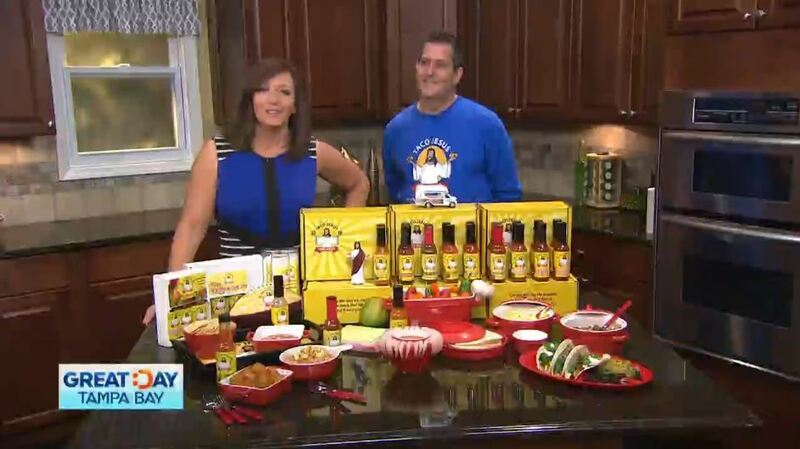 Taco Jesus Hot Sauce recently had a chance to be featured on our local CBS affiliate WTSP’s morning show Great Day Tampa Bay. If you missed seeing us live you can see the moment again by checking out the video below. 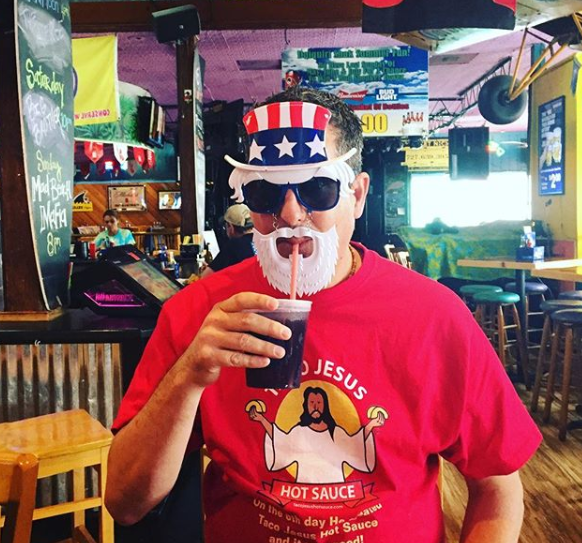 July 4th is a great time to celebrate with family, friends and Taco Jesus Hot Sauce! Whatever you have planned for the holiday we hope you have a safe and terrific time. To help make it better we are offering an awesome July 4th special. Buy three get the 4th FREE when you use code JULY4 at checkout. This offer is good until Saturday, July 7th, so hurry on over to our shop to take advantage of this offer.